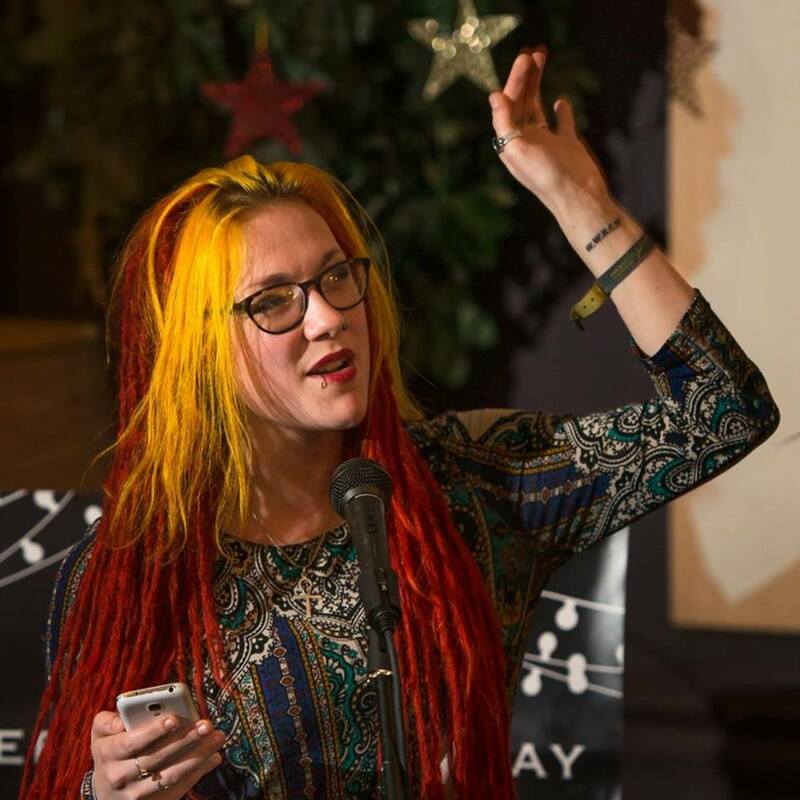 Sophie Sparham is a performance poet and writer from Derby. She is currently editing her second young adult sci-fi and fantasy novel and has just released her first poetry book ‘Please Mind The Gap’. Her poetry mainly focuses on political and social subjects, such as depression, LGBT and women’s issues. She has performed all around the UK; including festivals such as Y Not, Shambala and the Opera House Stage at Rebellion, the UK’s biggest punk festival. Sophie also does creative writing workshops for schools and vulnerable adults. She has worked with QUAD Derby, Leicester City Football Club Community Trust, Women’s Work, Padley Centre, Nottingham Poetry Festival and various schools, both Primary and Secondary. Sophie has worked at various media companies; including interning at Kerrang Radio! and The Prison Radio Association. She currently works on a freelance basis for Overtone Productions, creating and pitching ideas for BBC Radio. Her documentary St Pancras Pianos has recently been aired on BBC Radio 4.